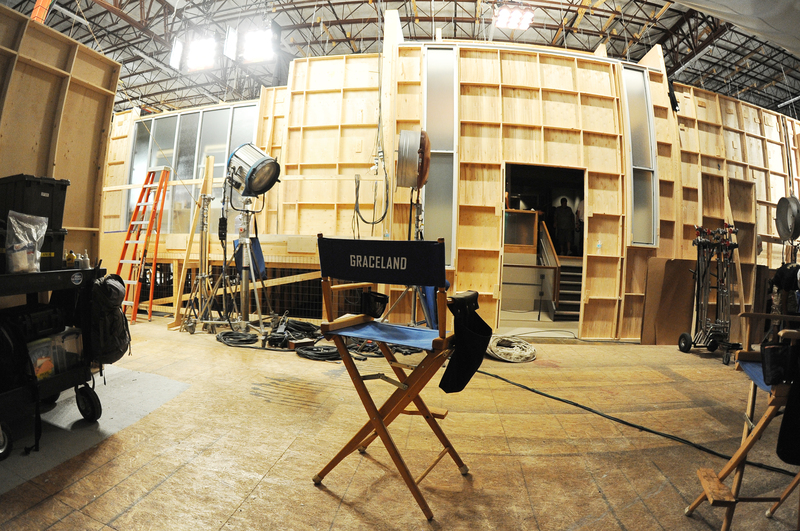 As USA’s drama Graceland returns Thursday night (at 10 p.m. 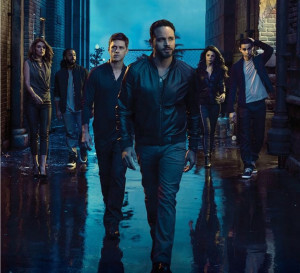 ET) for Season 3, the show’s fans have just one question: did Mike Warren (Aaron Tveit)—who had flatlined at the end of Season 2, after corrupt FBI agent Sid (Carmine Giovinazzo) cut off his air supply at the hospital—survive? The answer seemed obvious to me—of course Mike wasn’t going to die, because a show that needs all the viewers it can muster would never jettison its most popular actor (Tveit has spawned hundreds of stories like this; the internet can’t get enough of him)—but when I recently visited the show’s Fort Lauderdale set, Tveit was nowhere to be found. No, that doesn’t mean that he’s off the show. More likely, the network figured that the best way to keep his fate quiet was to keep him far away from reporters. 1) Yes, Mike is back. Tveit’s on-set absence aside, there’s no doubt that he is still part of the cast, and is prominently featured in the Season 3 key art. While USA wants to keep the details of his fate under wraps until Thursday’s premiere, consider this: the show hasn’t suddenly taken a supernatural turn (so Mike isn’t a ghost), nor has it gone the Lost or Orange is the New Black route (i.e. heavy flashbacks). So, that leaves only one clear answer as to whether he survived. 2) This season is all about atonement. But in doing so, they seem to be only making things worse: “There’s a lot of blood this season. There’s been some spillage of the sangre,” says Sunjata. 3) The infamous tape looms large this year. As part of the aforementioned atonement, Briggs is still haunted by the existence of a tape which recorded his killing FBI Agent Juan Badillo (in sort-of self-defense) back in in Season 1. “This has been a dangling plot thread from season one that fans have known was going to come back,” says Sunjata. 4) The whole gang is finally back together. While the events of Season 2 served to drive the six housemates apart (often literally), this year is about reestablishing the group. “They’re trying to bring the house back, because the fans love that. They like seeing us together,” says Ferlito. That “big thing” is this season’s major story arc, about the Armenian Mafia. “Briggs goes undercover and it has something to do with the Armenian Mob and ends up needing the help of his housemates in order to get certain things done,” says Sunjata. 5) Charlie is still pregnant—for now. Charlie discovered she was pregnant at the end of Season 2, and as of the first few episodes, she still is. “It hasn’t really hit her yet. It’s still very early on. She’s still in the house and still running around with crazy people,” says Ferlito. “She’s just out of control” as she tries to enact revenge on the money launderer who nearly killed her” and her unborn child. 6) Briggs and Charlie are on the outs. 7) Season 3 will go out with a bang. While the season is just getting under way tonight, some of the actors are already anticipating what’s to come as the year wraps up. This entry was posted in News/Analysis, Profiles, Stories, TV & Not TV and tagged Aaron Tveit, Brandon Jay McLaren, Daniel Sunjata, Graceland, Manny Montana, Serinda Swan, Vanessa Ferlito on June 25, 2015 by Jason Lynch. He also knows what viewers want to watch. In the past month alone, his shows have won the night in adults 18-49 (the most important demo for advertisers) on Sunday (A.D.), Monday (The Voice), Tuesday (The Voice), Wednesday (Survivor) and Friday (Shark Tank) — that’s five nights and three different networks. With more than a dozen shows under his domain, plus movies like next year’s big Ben-Hur reboot, how does Burnett stay focused on a single project when so many others demand his attention? And yes, we also talk about that epic beard of his. It was a fantastic, illuminating interview, so I hope you read the rest of it. This entry was posted in Adweek, Favorites, News/Analysis, Profiles, Stories and tagged 500 Questions, A.D. The Bible Continues, Angels Unveiled, Answered Prayers, Are Your Smarter Than a 5th Grader?, Ben-Hur, Celebrity Apprentice, Lucha Underground, Mark Burnett, OTT, Roma Downey, Shark Tank, Survivor, The Bible, The Sing-Off, The Voice, upfronts, Vimby on April 21, 2015 by Jason Lynch. The networks will play a variety of pop hits during their TV upfront presentations next month, but the only song that really should be part of the soundtrack that is The Lego Movie’s “Everything is Awesome.” After all, each of the the network executives who take the stage will be full of optimism that their new crop of shows will finally be the ones that take them to the top. Reilly was far from the only one to disappear from Fox shortly after the upfronts. He touted two programs to advertisers that were canceled before they ever made it to air: straight-to-series pickup Hieroglyph (Fox pulled the plug a month later) and Jump of the Century, in which two rival stuntmen would attempt Evel Knievel’s failed jump across Idaho’s Snake River Canyon (it was scrapped last July). “The power of broadcast really shines through when there’s urgency to view,” Reilly said of Jump of the Century. Of course, it also really shines through when the shows are actually broadcast. There’s a lot more silly predictions where that came from, so sure to read the rest of the story. This entry was posted in Adweek, News/Analysis, Stories and tagged ABC, Allegiance, CBS, Fox, Hieroglyph, Jump of the Century, Kevin Reilly, Manhattan Love Story, Mulaney, NBC, Nina Tassler, Paul Lee, Red Band Society, Robert Greenblatt, Seinfeld, The Blacklist, The McCarthys, upfronts on April 17, 2015 by Jason Lynch. After six mostly-wondrous seasons, tonight it’s finally time for Deputy U.S. Marshal Raylan Givens to hang up his badge for good. It’s the series finale of the FX drama we all know and love, Lawman. At least, that’s what we might all be saying today if Steven Seagal, of all people, hadn’t forced FX to execute an 11th hour title change for its new drama, based on an Elmore Leonard character, and come up with what turned out to be the perfect name for the series: Justified. FX has announced the project as Lawman back in 2009, but the network renamed it in early 2010 to avoid a conflict with Steven Seagal: Lawman, a now-long-forgotten A&E reality series about Seagal’s work as a reserve deputy sheriff in Louisiana. The new title, Justified, was taken from a line in the pilot, in which Raylan’s new boss, Art Mullen, asks him about his quick-draw shooting of a mob hitman in Miami, which causes Raylan to be reassignment to Kentucky’s Harlan County. 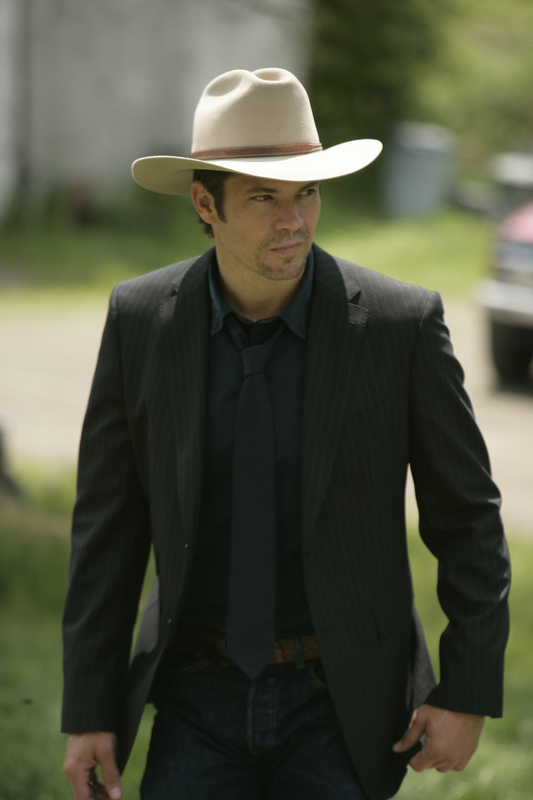 “It was justified,” says Raylan. When I interviewed Justified creator Graham Yost earlier this year for my Daily Beast story about series finales (a story that is worth rereading before tonight’s Justified farewell), we also talked about the title that wasn’t, and how the show’s fate might have changed had it kept its original moniker. Farewell, Justified and/or Lawman. And — here’s a sentence no one has likely ever uttered before — thank you, Steven Seagal! This entry was posted in News/Analysis, Stories, TV & Not TV and tagged FX, Graham Yost, Justified, Lawman, series finale, TCA on April 14, 2015 by Jason Lynch. Some of the best story ideas come from chats with other TV critics and writers. And a recent conversation with Alan Sepinwall yielded the idea for this Quartz story about how no HBO series have series longer than 10 episodes. HBO isn’t the only cable network to embrace shorter seasons. I also spoke with Nina Lederman, Lifetime’s SVP of scripted programing and development, who also shed some light on this trend as well. 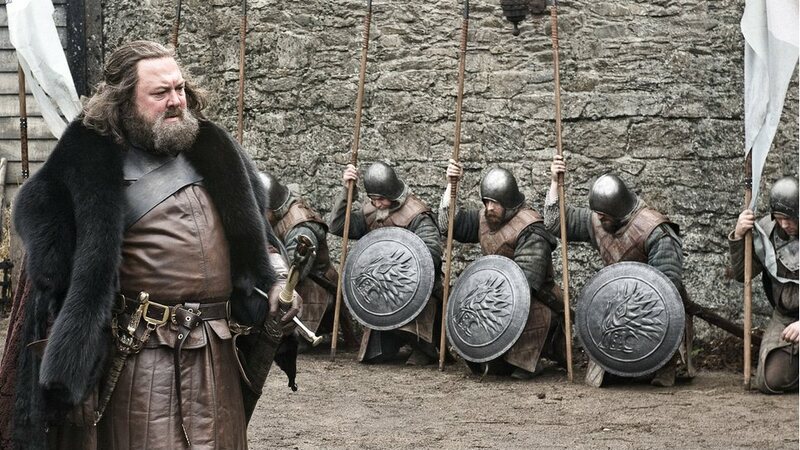 I wish Lombardo had been a bit more open about HBO’s mindset, so for now, we’ll have to keep an eye on HBO’s season orders and see if one ever rises above 10 again. And thanks again, Alan, for the great story idea! This entry was posted in News/Analysis, Quartz, Stories and tagged Game of Thrones, Girls, HBO, Judd Apatow, Lifetime, Michael Lombardo, Nina Lederman on April 13, 2015 by Jason Lynch. Showtime’s David Nevins wasn’t the only network president I interviewed at TCA’s winter press tour. I also had some time with ABC Entertainment President Lee, which I turned into this Adweek story about how things are finally looking up for ABC after a decade of dwelling in, or near, the 18-49 ratings basement. Lee’s most successful play this season was handing over his Thursday night lineup to Rhimes: Grey’s Anatomy and Scandal, both of which she created, and How to Get Away with Murder, which she executive produces. Most critically, he branded the night TGIT (Thank God It’s Thursday), an ode to the TGIF Friday night comedy block that was a ratings hit in the ’90s. “We took a brand that my boss Bob Iger invented [in 1989], TGIF, and we burnished it. It was very sweet to take a dormant brand and reinvent it on Thursday as something that was just as fresh today as that was then,” said Lee. The network still has a long way to go, but my talk with Lee was a good reminder that thanks to Rhimes and several other big swings this season (including freshman hits Black-ish and Fresh Off the Boat), ABC is finally figuring itself out. 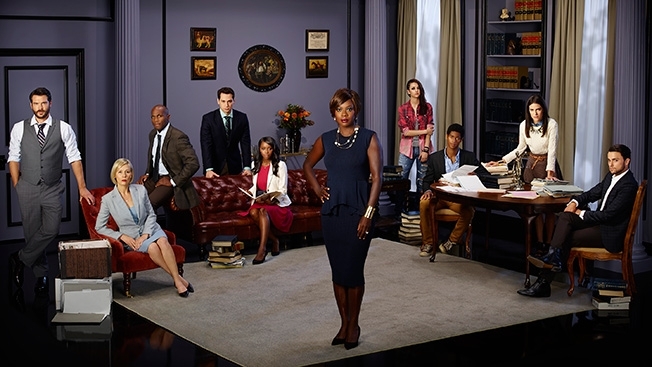 This entry was posted in Adweek, News/Analysis, Stories and tagged #TGIT, ABC, Black-ish, Fresh Off the Boat, How to Get Away with Murder, Paul Lee, Shonda Rhimes, TGIF on April 13, 2015 by Jason Lynch. 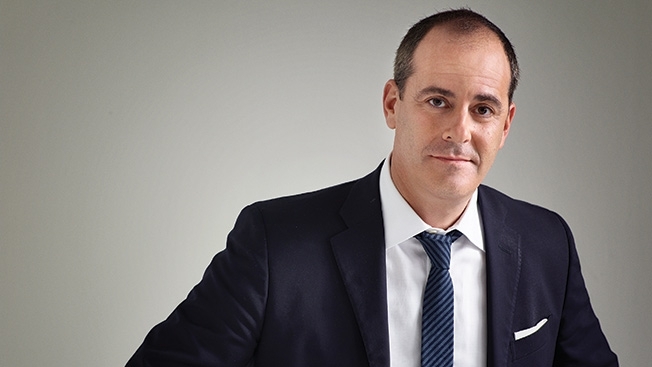 Back at TCA’s winter press tour, I sat down with Showtime Networks President David Nevins for an Adweek Q&A that I banked for April, closer to when his spring shows — particularly Showtime’s new comedy, Happyish — were premiering. As April approached, I made arrangements for a quick followup interview with Nevins, to update a few topics we had discussed, including Showtime’s OTT plans. It’s either a negotiation, or he’s had cold feet. But I am hopeful. In addition to our Twin Peaks talk, Nevins also gave me a timetable on when Showtime will launch its standalone streaming service, talked about sticking with Happyish after last year’s death of original star Philip Seymour Hoffman and explained why he’ll never leave for a broadcast job like his predecessor, Robert Greenblatt. It’s a great, and unexpectedly newsy, interview; check it out! This entry was posted in Adweek, News/Analysis, Stories and tagged David Nevins, Happyish, Keebler, OTT, Showtime, Starz, TCA, Twin Peaks on April 13, 2015 by Jason Lynch. Each month, 18 million U.S. viewers access the Sony-owned, advertising-supported streaming network Crackle. 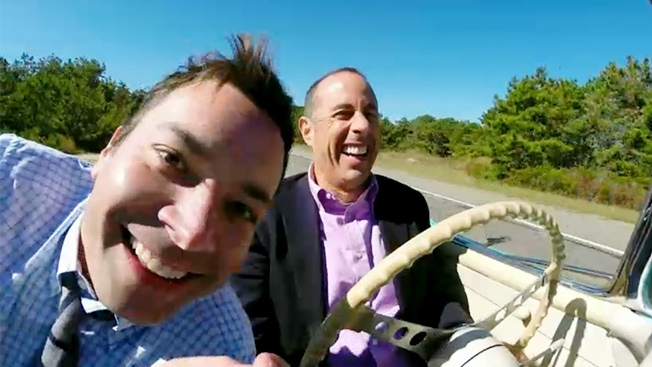 But despite popular shows like Jerry Seinfeld’s Comedians in Cars Getting Coffee, Crackle still has a it of an identity crisis as it looks to make a name for itself among the likes of Netflix and Amazon. That’s the challenge for Crackle’s general manager Eric Berger, who is making his loudest statement yet by moving Crackle out of the NewFronts, held primarily for digital enterprises, and into the upfronts, generally reserved for the major TV networks, on April 14. It’s a great show. It didn’t fit in our slate at the time. Everything that we’ve done on the scripted series side to date has not been comedy. They’ve all been action, drama and thrillers. Features are different—with Joe Dirt, obviously, but the other features are action, horror and zombie type of stuff that fares really well for us. There’s a lot more from Berger, who hopes to finally put the “What’s Crackle?” question to bed once and for all. 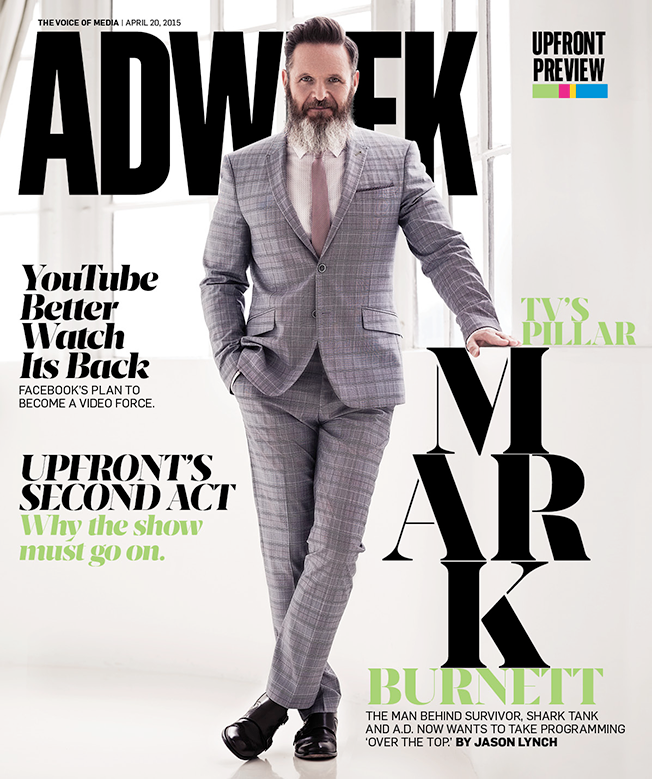 This entry was posted in Adweek, News/Analysis, Stories and tagged Community, Crackle, Eric Berger, NewFronts, TCA, The Interview, upfronts on April 9, 2015 by Jason Lynch. Bringing together Marvel and Netflix, Marvel’s Daredevil, which debuts its thrilling 13-episode first season on Netflix April 10, ushers in an Avengers-level teaming up of Hollywood titans. In the past few years, no two companies have changed the entertainment landscape as much as Marvel (now every studio is pursuing its own version of the Marvel Cinematic Universe) and Netflix (which between pioneering binge-watching and creating groundbreaking shows like Orange is the New Black, has knocked every other network on its heels). Now they are at it again, devising an exciting new path for the crowded TV superhero genre. Unlike the other TV superhero series, Daredevil is aimed at grownups—or, at least, not the kids who watch much of Netflix’s other superhero fare. Karen Paige (Deborah Ann Woll from True Blood), the firm’s first client turned secretary, notes that after the violent events of the first episode, “I don’t see the city anymore. All I see are its dark corners.” And that is where Daredevil lives: the show employs a very dark palette (after all, Murdock doesn’t need lights). While Marvel’s Agents of S.H.I.E.L.D. and Marvel’s Agent Carter are glitzy and glossy, this one is gritty and grimy. An early episode features a brutal, gruesome decapitation; not something you’d find on any broadcast TV show. 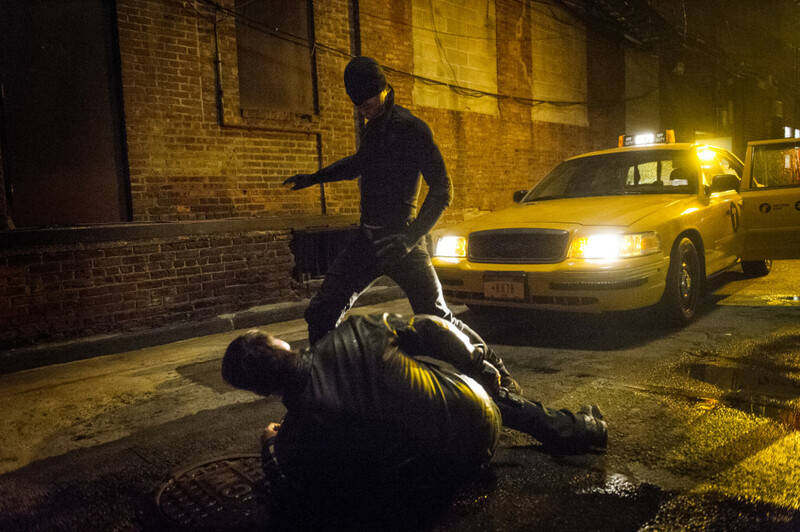 But where Daredevil—which erases all memories of the mediocre 2003 film with Ben Affleck—really shines is in its inventive action sequences, particularly an ingeniously executed, prolonged fight sequence late in the second episode. It feels real, and brutal. You can see superheroes fighting back guys all over TV, but nowhere else does it feel this visceral. Marvel and Netflix still have a long road ahead, but they couldn’t have asked for a better start to their partnership than Daredevil. Don’t miss the series when it debuts tomorrow! This entry was posted in News/Analysis, Quartz, Stories and tagged Avengers: Age of Ultron, Marvel, Marvel's Daredevil, Marvel’s A.K.A. Jessica Jones, Marvel’s Agent Carter, Marvel’s Agents of SHIELD, Marvel’s Iron Fist, Marvel’s Luke Cage, Marvel’s The Defenders, Netflix, The Avengers on April 9, 2015 by Jason Lynch. “Part of how I got out of my contract was leaving the state,” said Shapiro, who drove to Oregon where she planned to “drop out and be a kale farmer or embroider tapestries.” But the Portland-based W+K had other plans for her. The agency reached out, asking her to work on Battlegrounds, a docuseries featuring NBA star LeBron James it was making with MTV. “It was like a moth to the flame,” said Shapiro, who joined as a content producer. In addition to tracing UnREAL’s unusal genesis, I also look at Lifetime’s position as it enters this year’s upfronts, and talk about A+E Studios, the in-house production company that produced UnREAL. The show doesn’t premiere until June 1, but I was very happy to contribute this story to Adweek’s Women’s Issue. 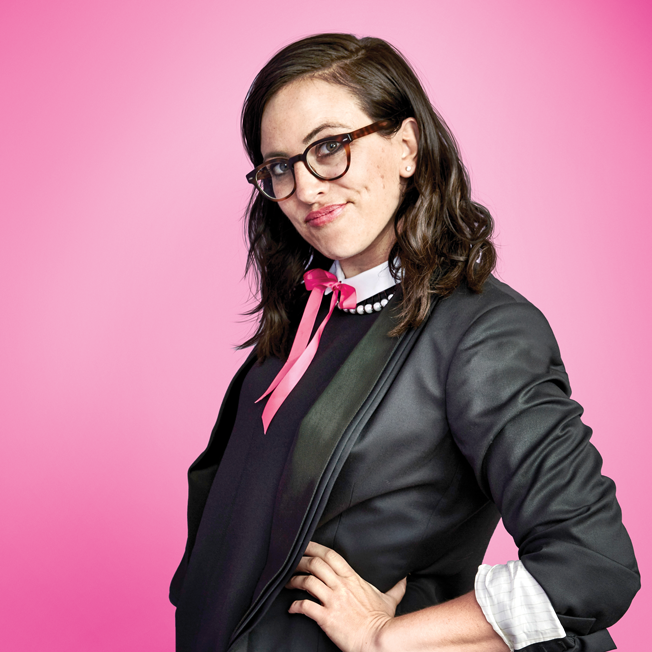 This entry was posted in Adweek, News/Analysis, Stories and tagged A+E Studios, Jill Isherwood, Lifetime, Nina Lederman, Sally DeSipio, Sarah Gertrude Shapiro, Sequin Raze, The Bachelor, UnREAL, upfronts, Wieden + Kennedy on April 6, 2015 by Jason Lynch.